New excavations to investigate the use of the palace following the severe earthquake of 749 AD. 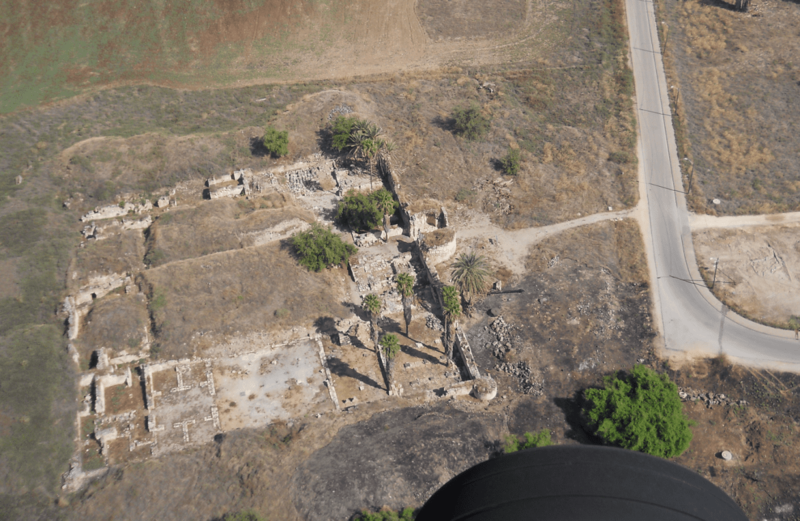 Archaeologists from Johannes Gutenberg University Mainz (JGU) started excavations in September 2016 at Khirbat al-Minya, an early-Islamic caliphate palace on the shore of the Sea of Galilee in Israel. Led by PD Dr. Hans-Peter Kuhnen of the Department of Ancient Studies at JGU, the team is hoping to find out how the site looked before the palace was built and whether the building was used for different purposes after the catastrophic earthquake of 749 AD. The palace, which was still under construction at the time, suffered major damage during the quake. Findings from the new excavations show that the building lost its palatial function as a result of the earthquake and was subsequently only used by craftsmen, traders, and sugar cane farmers. Among the small artefacts found is a tiny glass weight just 12 millimeters in diameter that has an Arabic inscription on it. The words solicit “Glory to Allah”, indicating that the Muslim traders operating here in the 9th or 10th century were dealing with particularly valuable goods. Another significant discovery is that of facilities for processing sugar cane, the cultivation of which initially triggered an economic boom in the Middle Ages in the Holy Land but subsequently led to desertification across large swathes of land in the region. For the first time, the Mainz archaeologists were able to uncover layer-by-layer a boiling system used for molasses production, thus gaining new insights into how sugar cane was refined in this period. In addition to the excavations, the Mainz archaeologists are also running a conservation project that has been financed since 2015 through the Cultural Preservation Program of the German Federal Foreign Office. The objective is to prevent the further progressive deterioration of the palace ruins that has been occurring since their exposure in 1939. Therefore, Mainz University has commissioned a German-Israeli restoration team to carry out reinforcement work in November 2016 to shore up some of the walls that are at great risk of collapsing. In preparation for the job, the Laboratory for Building Research at the RheinMain University of Applied Sciences in Wiesbaden has begun a new and precise survey of the at-risk walls in order to get a clear idea of their construction technique as well as to ensure optimal planning for the type and scope of the upcoming restoration work.